line falls from FUKUOKA NORIMUNE. ITAME HADA. CHOJI BA. 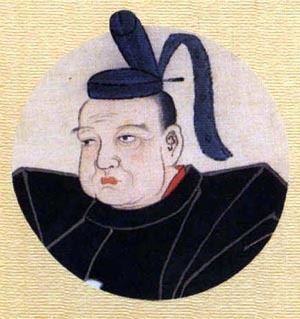 MITSUTADA RYAKU-NIN (f: CHIKATADA, br: KAGEYASU): OSAFUNE Founder. Work from RYAKU-NIN 1238 to BUN-EI 1264. OSAFUNE JU. Before SOSHU found MASAMUNE and the TEGAI exploded around YAMATO KANENAGA, the artistic power of MITSUTADA would ignite the most prolific sword center in history. His inspired genius drew excited prodigies like filings to a magnet, firing the lives and forges in OSAFUNE for 350 years. O-SURIAGE candidates in the ICHIMONJI style with KAWAZU, JUKA and OBUSA-rises, keeping an even and strong height that carries through the MONOUCHI should be given a stern eye. - This is not the practice on genuine signed pieces. Argument proposes that dynamic variance was lost in the absent YAKIDASHI on O-SURIAGE of 2.2 SHAKU or less. However, it is classic supposition that the KO-OSAFUNE definer of reserve or restraint of pattern in the MONOUCHI was birthed and gifted from brother, FUKUOKA KAGEYASU and signed MITSUTADA show the first bannering of this famous OSAFUNE signpost. -Look for variance in YAKIBA height. -Look for diverse figures and TOBI-YAKI. 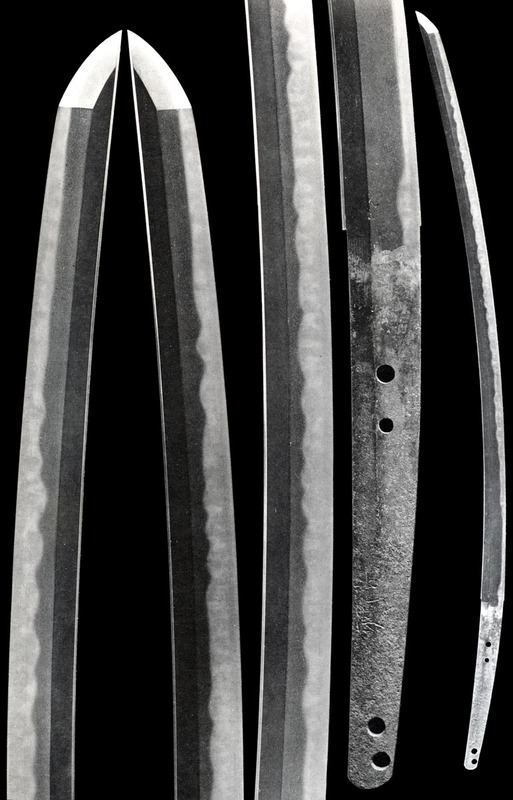 -Look for the OSAFUNE MONOUCHI, the devoted passion pursued so vigorously by descendants NAGAMITSU and KAGEMITSU: The KO-ASHI defined KO-CHOJI line descends smoothly from pattern to a varying but fairly even CHU-width approach to the BOSHI. MIDARE-UTSURI that makes the surface appear wet. of KO-CHOJI BA in NIE that has KINSUJI and SUNAGASHI. associated to the school and the time. Note: ICHIMONJI work will be far more brazen and uniform. Classic lines are powerfully sculpted anew. A BO-HI SHINOGI-JI falls from the KO-SHINOGI through the NAKAGO. 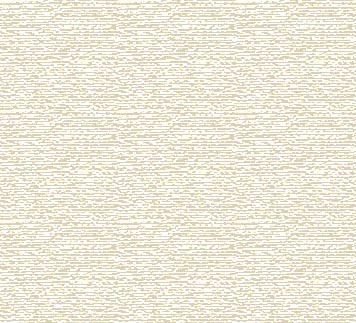 OSAFUNE MONOUCHI: A smooth BOSHI finds CHU-width, evenly set, squarish CHOJI beginning from the YOKOTE. Each nodule resets the slight ASAKI-NOTARE undulation of its neighbor. Looping YO-painted CHOJI crest a wave-like swell through the upper which breaks-up and falls in ever-changing combinations. 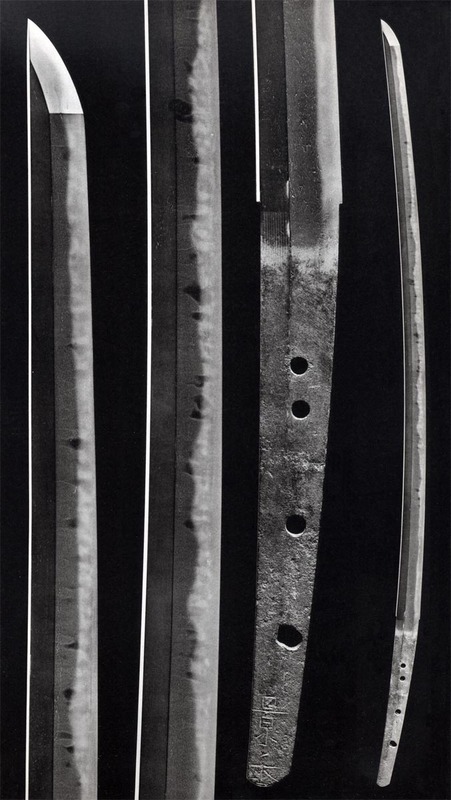 Square, oblong and pointed OBUSA GUNOME jut through jostling KO-CHOJI where delicate KO-ASHI trace detail. Far and near KAWAZU rise in the mid, tending their KAWAZUKO garden. KINSUJI and SUNAGASHI combine in long undercurrents. Round TOBI-YAKI stand on pinnacles to dot the lower while UTSURI rises from the HABUCHI. OMOTE lower is quieter than URA, its faraway figures stand placidly. IKUBI-KISSAKI on O-SURIAGE KAMAKURA SUGATA TACHI. 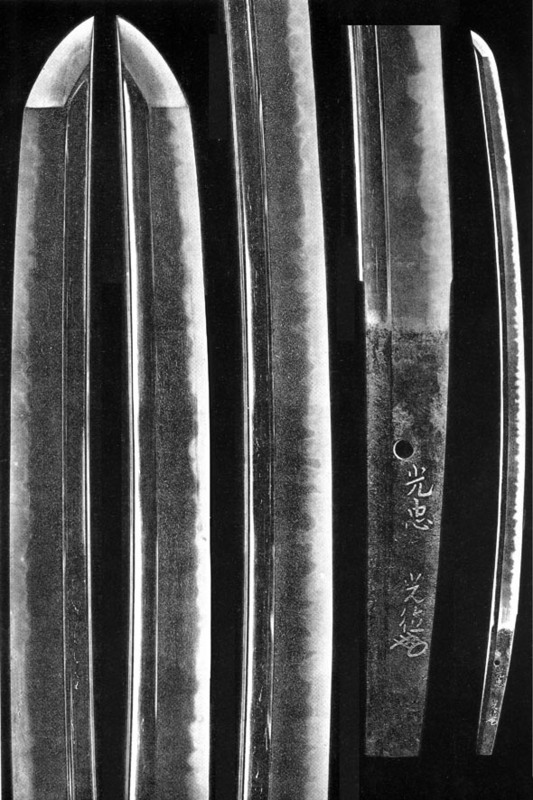 ITAME HADA with NIOI-DEKI CHOJI-MIDARE BA. Osafune Monouchi. 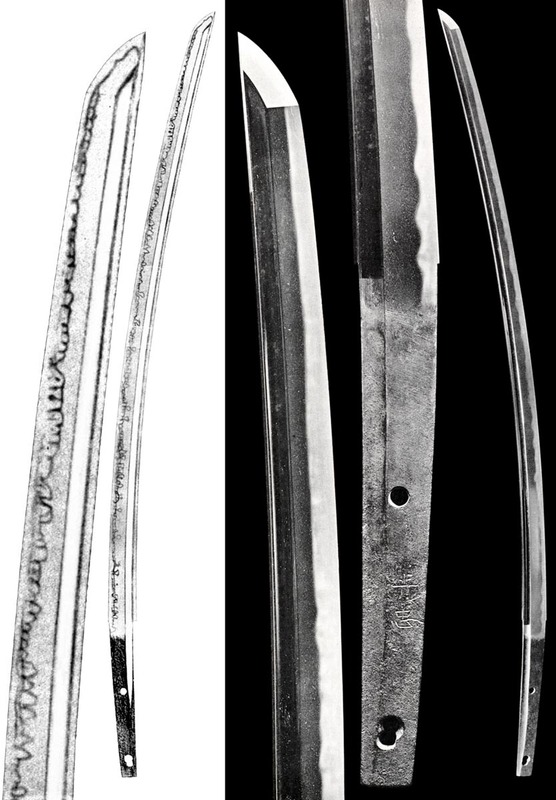 Shinogi-Tsukuri, Ihori-Mune, deeply curved Koshizori with Chu-Kissaki. Nioi-Fukashi Obusa Choji Midare Ba has long-fall Ashi-naga. Omote Boshi is Maru, Togari on Ura. Suriage Kurijiri Nakago has four Mekugi-ana. Signed on the Ji. gentle SORI finds his KAMAKURA IKUBI-KISSAKI. A serene blue KO-ITAME has JI-NIE with standing MIDARE-UTSURI. Jumbling KAWASU O-CHOJI-MIDARE unfolds through the lower and recedes to GUNOME in the upper - placing his typical trademark OSAFUNE MONOUCHI. The rise and fall of NIOI-FUKAI figures appear white. There are KINSUJI, ASHI and YO. MIDARE-KOMI BOSHI is nearly YAKIZUME. NIE tends to HAKIKAKE. BOSHI becomes a SUGUHA or MIDARE that is smooth. SUGATA from the mid to late KAMAKURA transition. Standing MIDARE-UTSURI walks across MOKUME JI-HADA. GUNOME pushes through CHOJI BA. near SUGU ceiling into the BOSHI. line as descendants from KO-BIZEN KAGEYORI. whose line founded YOSHII School. See YOSHII. SHIGEYOSHI(1) KA-GEN (f: KAGEHIDE): Original KOZORI Founder. SANEFUSA GEN-O (t: KAGEHIDE): Work to KEM-MU 1334. MOKUME HADA. GUNOME-CHOJI MIDARE BA. 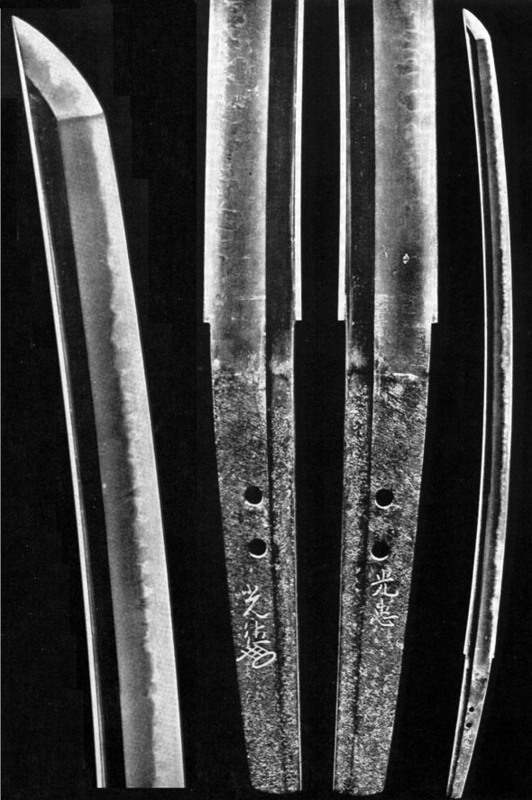 Shinogi-tsukuri, Ihori-mune, Koshizori Tachi with Chu-Kissaki. Itame Hada has JiNie and standing Utsuri. A forest of large-standing Choji spires rise tall Nakahodo through the mid, crossing the Shinogi in places. Reaching Togari knifes up from the heads. There is much Tobi-Yaki and Yo where Ko-Ashi pulls an even greater dynamic. Yakiba in deep Nioi-Fukashi and Ko-Nie. Midare-Komi Boshi is nearly Yakizumi with a very short fall.